Sonia Gómez Fernández was born in Lugo where she studied Lab Technician. 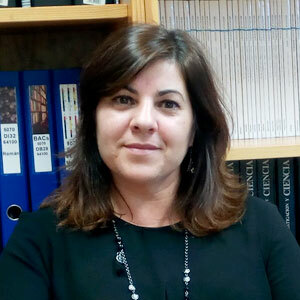 She joined the group of Prof. Dr. Laura Sanchez in 1992 with a grant from the Xunta de Galicia. During these years she acquired knowledge on project management. In 2009 she was awarded a contract Isabel Barreto Technologists Program (Xunta de Galicia). At present she is supporting the group in the administrative, economic and project management areas.